MENLO PARK, CA, August 30, 2017 – Nagle Energy Solutions (NES) announced today its innovative garage-ventilation control system is capturing a 96% reduction in the energy consumed by a sizeable mechanical ventilation system installed recently at the City & County of San Francisco’s Sutter Stockton Garage. In doing so, the NES garage demand-control ventilation (DCV) system shaves more than 770,000 kilowatt-hours (kWh) a year from Sutter Stockton’s baseline energy consumption, providing a recurring, operational-cost savings of $116,000 a year, not including future utility rate increases. Since commissioning the NES digital DCV system at Sutter Stockton, real-time data logging shows it is limiting the energy consumed (measured in kilowatts) by five, new Huntair Fanwallâ motor units and nine, new stand-alone garage-fan motors providing fresh air in to the garage — and possessing a combined 150 horsepower (HP) running 24/7 — to just 4% of their total full-load capacity. The NES System also slashes — by 96% — costly utility fees which otherwise would be incurred running Sutter Stockton’s mechanical ventilation system 8,760 hours per year (24/7) with no means of motor control in place. Doing so would consume in excess of 800,000 kWh annually, which at the garage’s utility rate of $0.15/kWh, amounts to $10,000 a month or $120,000 a year in electric utility fees. The energy consumed by the garage’s mechanical ventilation system is now limited to less than 2,700 kWh per month, which amounts to an average, monthly cost of $400. At this rate, the energy savings captured by the NES System throughout its 15-year lifespan will generate a minimum cash inflow exceeding $1.7 million — again not including future utility rate increases. 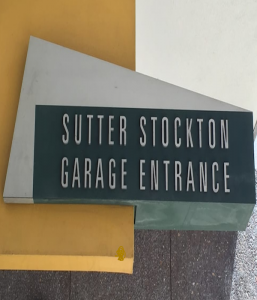 Sutter Stockton is the second of three garages owned by the City & County of San Francisco at which the NES System serves as the basis of design for upgrading each property’s mechanical ventilation system, with the Golden Gateway Garage and the Japan Center Garage being the other two. Minimize the energy consumed by the considerable amount of fan-motor HP required at Sutter Stockton (and the other City garages) to achieve the required maximum ventilation rate – 0.75 cubic feet per minute (cfm) – when carbon monoxide (CO) emissions rise to predetermined thresholds due to traffic in the garage. About Nagle Energy Solutions: Based in Menlo Park, CA, Nagle Energy Solutions, LLC (www.nagle-energy.com) develops, manufactures, distributes and installs an innovative demand-control ventilation (DCV) system for commercial garages that markedly reduces energy consumption by increasing operational efficiencies — all while the garage fans run continuously.